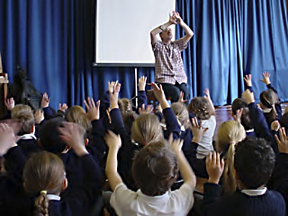 Award-winning poet James Carter is a popular and regular visitor to Primary schools all over the UK and abroad – where he gives poetry (with music) performances and workshops. In the last ten years, James has visited over 1200 Primary schools. James has degrees in Primary Education with English B.Ed (Hons) and Children’s Literature MA (with distinction) both from the University of Reading. Thankyou for sharing your brilliant poems – you really inspired me. Your poems were fandabadozy! I enjoyed them as much as I enjoy watching Man U score a goal. James Carter is a brilliant poet with a quick and lively mind. His natural humour, spirituality and warmth shine out in both his poetry and in his relationship with all those he meets. Pupils and adults at Finstock School loved their day spent with him and were left with great ideas, learning and a real feel good factor. Thank you James, keep spreading the happiness! James gave us a lovely day – it was just what we wanted and to be thoroughly recommended! Miniature people (+ grown ups!) are priveleged to spend time in his company...very inspirational wordplay and just right for our book week. Our school endeavours ‘to make the curriculum irresistible to children’ and ‘to weave magic’. James did just that. To generate a real ‘buzz’ in a school – to get the children motivated and enthusiastic and to feel confident about their own writing. OR a science/space day based on James' picture book on the Big Bang - Once Upon A Star - with assemblies and space/science writing workshops. 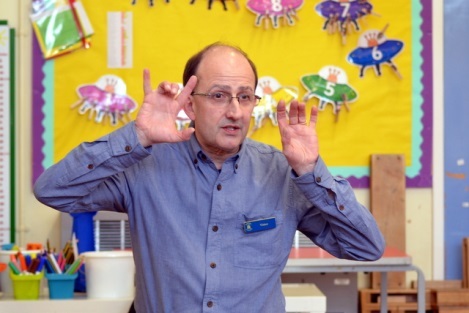 Larger Primary Schools will often book two or three days in order that James can visit all the classes to do workshops, and possibly include an INSET session or a family writing session. Please note that James has a wide variety of exciting, innovative, and above all, tried and tested age/ability-related workshops. These have been well received by classes (from Year 1 to Year 6 and beyond) all over the UK, and have been met with great approval by classroom teachers. And what's more, they have resulted in some fine poems by those young writers. 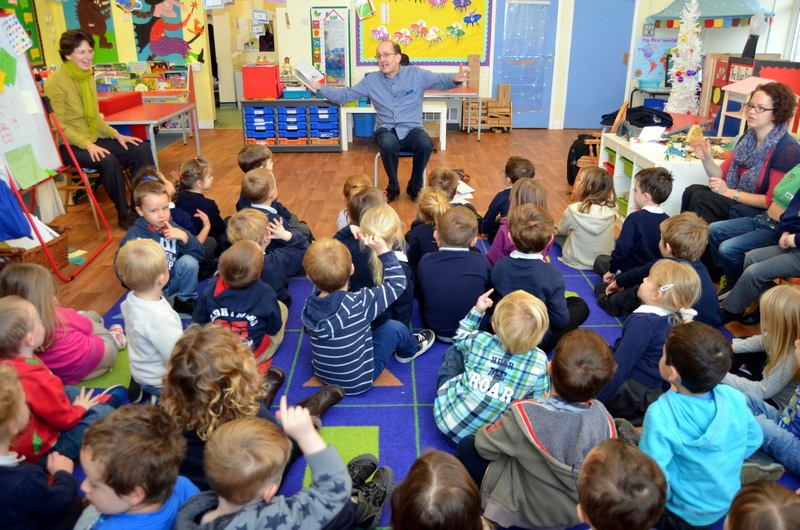 These workshops feature in James' book Let's Do Poetry In Primary Schools! - as well as Just Imagine and Creating Writers. On occasion, if requested, James will write with children to a cross-curricular classroom topic - but not to a theme chosen by a school specifically for a visit. Themes can work well in classroom situations if there is much time to fully explore the chosen subject area, but can more often than not demand that an external workshopper brings in a new and untested writing workshop into the school. What many schools have done - and with great rewards - is to let James come in with his set workshops, to inspire the classes and to demonstrate what can be done with language, to fire them up and to nurture creativity - and then later on, if schools wish, the teachers can channel that creative energy into specific theme-based writing. James Carter was a breath of fresh air in our school. He changed the children’s concept of poetry and poets. The children were enthralled by his unique approach to writing and the work they produced in his workshop was exciting. James Carter runs a Writers’ Day – a one day intensive poetry writing course for Gifted & Talented children at Key Stage 2 – either Years 3 & 4 or 5 & 6. James has run many successful Writers’ Days for Oxfordshire LEA, Inner City London Primary schools, and all over the south of England. Writers’ Days either include G&T children from one Primary school or will alternatively be based at a host Primary school – and will include children from both the host and neighbouring schools. With the latter, the costs can be spread across all participating schools. The day is held in a classroom or the school library. There are usually a number of supervising adults in attendance (one adult per school – a teacher or teaching assistant). Teachers are encouraged to attend where possible, as the day can indirectly serve as an INSET course on poetry writing at KS2. The course gives children the opportunity to express themselves across a variety of poetic forms, but above all, it gives them quality time to explore their own ideas. Throughout the day, James encourages children to have confidence in their creativity, to redraft and to develop their work and to use fresh and expressive language. The Writers’ Day is a lot of fun – though also challenging, rewarding and highly productive – and at the end of the day the children have many new pieces of writing to take back to the classroom. On request, the course can feature fiction writing. James was an inspiration. His poetry set to guitar music was a hit with all the children from reception to Year 6. The workshops were fun and the children produced some excellent poems. If local to James (ie South Oxfordshire or Berkshire) James will drive to your school and arrive by 8:30am. If further afield, James will catch the train – however far! – trains are great for writing. James can reach most stations in the South of England by 8:30am. Costs are negotiable and extremely reasonable, of course! For costs and availability please send James an email.